The Petty brothers, George and James, are attributed with being the founding fathers of Hensall. 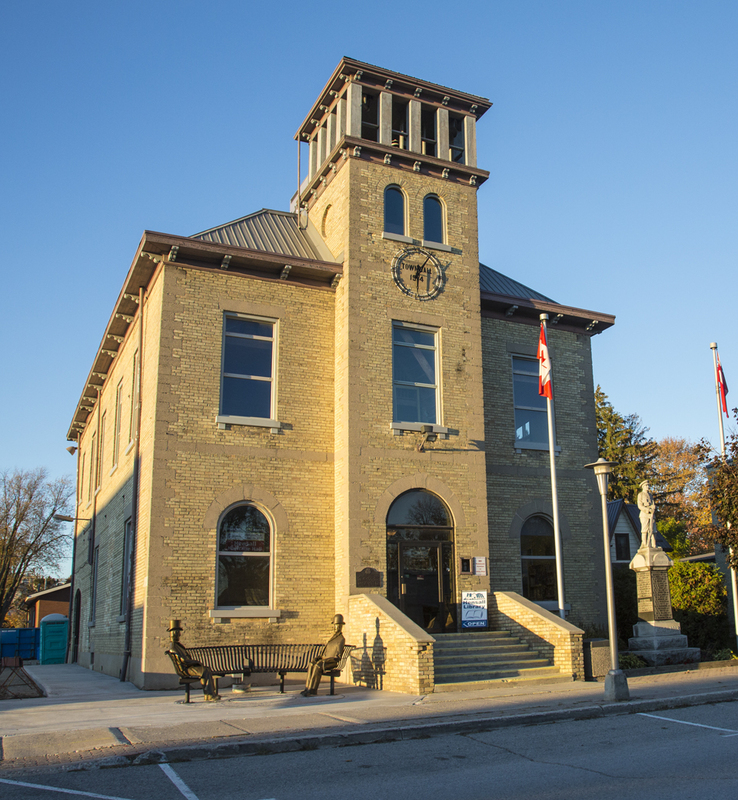 Arriving in Canada from Yorkshire England in the early 1850’s the brothers purchased land in Hensall and successfully attracted the “London Huron & Bruce Express”, a rail line that ran from Wingham to London. With the addition of the new railroad the brothers were able to open The Yorkshire Packing House shortly after 1876. The Packing House was Ontario’s largest at the time, handling over 12,000 pigs per year. The character of the Hensall settlement, still known today for it’s stockyard, mills and elevators, is attributed to the Petty brothers. The brothers were also instrumental in the erection of Hensall’s famous Town Hall in 1914. The hall has remained a cultural hub of the community ever since, hosting dances, performances and celebrations attracting people from far and wide. The Lower level of the Town Hall is also the home of the Hensall Public Library. Today the hall remains a focal point of the community. The Hensall Heritage Hall committee was formed in 2011 and this group has been working tirelessly to restore the Hall to it’s former glory. 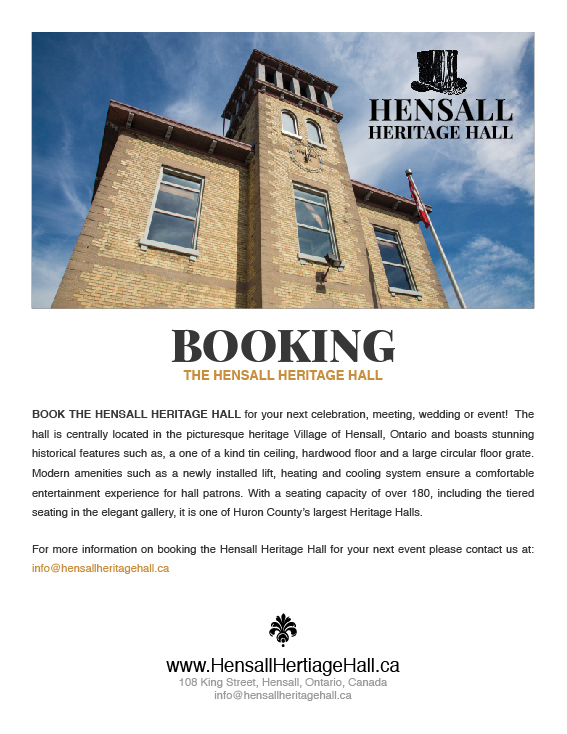 It is the hope of the Hensall Heritage Hall committee and its many supporters that following restoration the Hall will once again be a vital part of life in the community. Once restoration is completed the hall will feature such modern amenities as an elevator and comfortable portable seating that will allow for greater accessibility and multi-purpose usage. 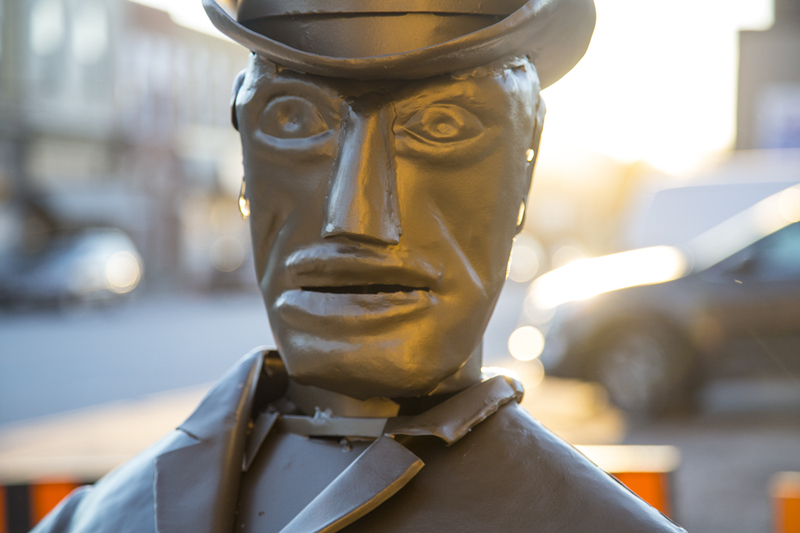 Thursday October 22nd, 2015 marked an exciting milestone for the Hensall Heritage Hall committee as they proudly returned the Petty Brothers to their home on Main Street. 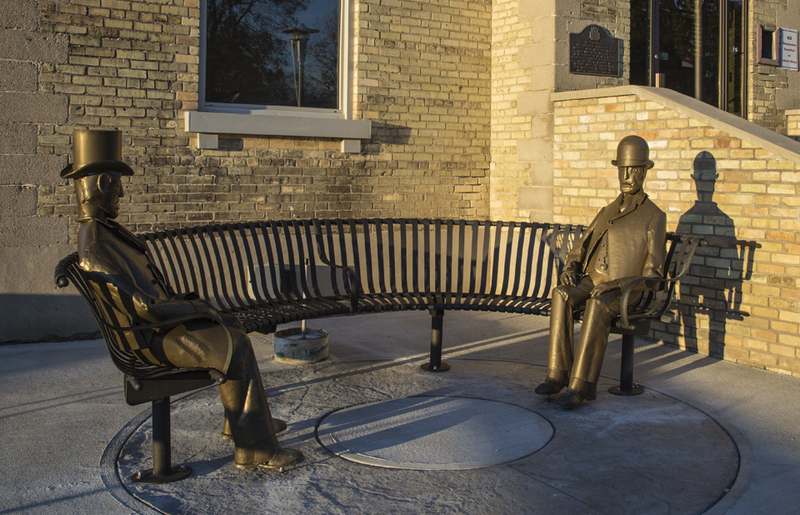 In front of the Town Hall building a semi-circular bench featuring a life-size sculpture, by local artist and blacksmith Jim Wallace, honours the village’s founding brothers James and George Petty and offers patrons of the Hall a chance to take a seat beside Hensall history.